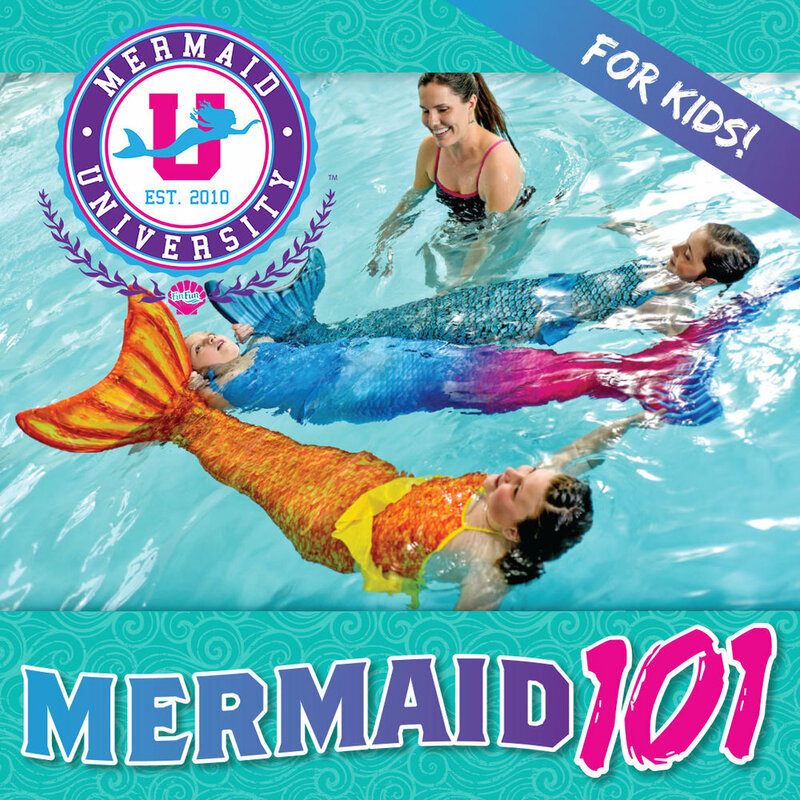 Does your child dream of becoming a mermaid? Make their dreams come true with our FinFun Mermaid University Mermaid Swim Classes! We have a variety of options to appeal to your little mermaid at heart. All classes include usage of mermaid tail and mono-fin that is ordered to the students size & color specifications, with options to keep the tail when the class is over! Turn your kid’s dreams into a reality and give them an experience of a lifetime! This course gets your mermaid or merman “tail ready” by teaching all the safety rules of being a mermaid, and fun new swimming techniques! Group & individual rates available. Get a group together and enjoy the health benefits of Mer-obics! Students in this class will learn body & core-strengthening exercises that will have them wanting more! This class is a fun new way to workout while having a great time. Stay in shape the mermaid way! Group & individual rates available. Is your little mermaid / merman ready to take their mer-formance to the next level? Then this is the class you are looking for! Learn advanced mermaid technique, underwater tricks & and more in this course. Group and individual rates available!